Netflix unveils its first Indian series, a compelling, and mostly familiar, cops-and-gangsters epic. Main reason was to get attention of the local public of India. 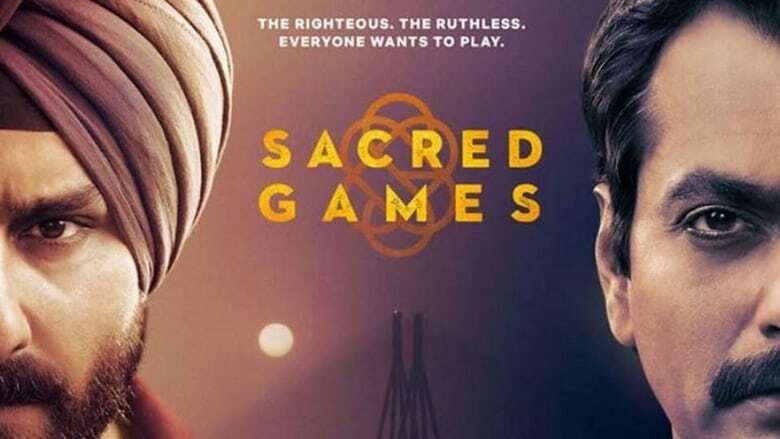 I watched Sacred Games and I think it is one of the best Indian series till now (as it is the first one too), The story line of the season 1 will not let you get distracted and most probably you will be ended up by seeing all the episodes of season 1. Coming to the acting part, everybody has done an amazing acting. Especially Nawazuddin Siddiqui, he made the 'Ganesh Gaitonde' alive in the world. His dialogue delivery was also very good. Saif Ali Khan being a police cop as 'Sartaj Singh' done a very good job. As the director itself is Anurag Kashyap and Vikramaditya Motwane, after making one of his best movies like 'Gangs of Wasseypur' and 'Udta Punjab', he just raised his standards of direction and being a director who shows real world, you don't need to be worried about the screenplays. Everything is showed very realistic with the dark history of India too. And last I will conclude myself by saying, the series as it is worth watching and you will be thrilled with the story.